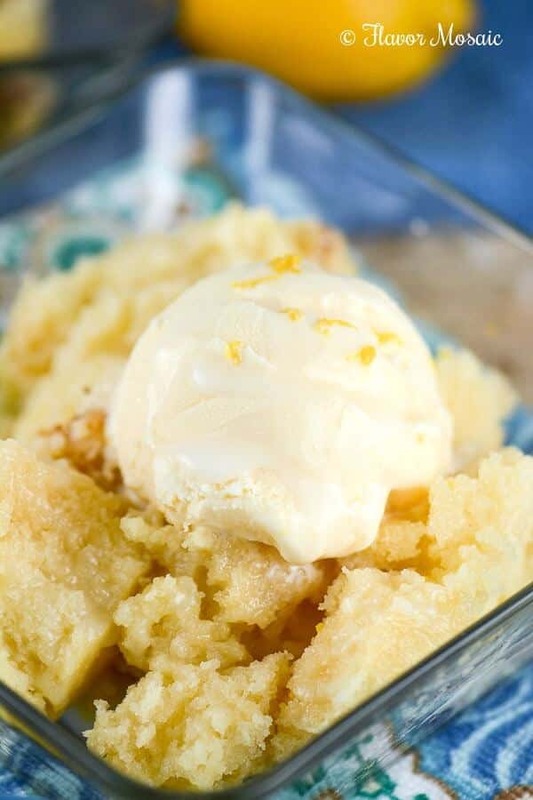 Lemon Spoon Cake is an easy, yummy slow cooker lemon dessert from the The Magical Slow Cooker cookbook, and is best served warm and topped with ice cream. This dessert is easy enough for the kids to help make for Mother’s Day. 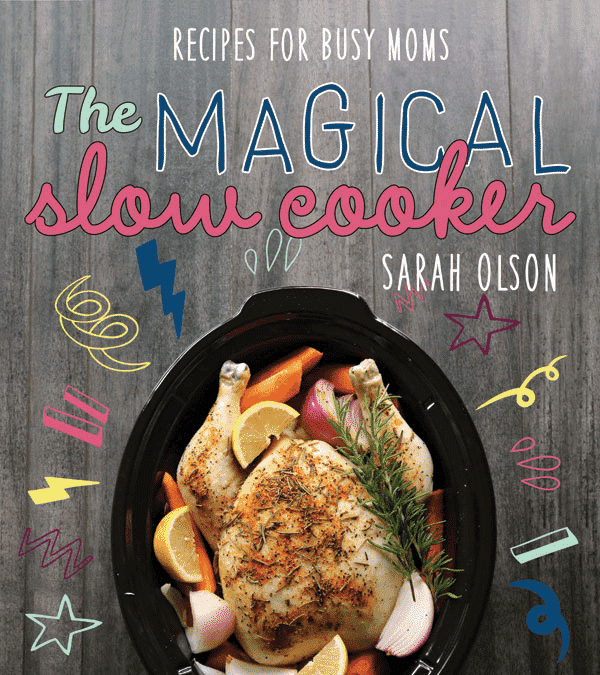 I was so excited when I heard that my blogging friend, Sarah Olson, blogger at The Magical Slow Cooker, was going to have her first cookbook coming out called, what else, The Magical Slow Cooker. I was then even more excited when she asked me to do a cookbook review! I jumped at the chance because I already knew that Sarah has outstanding recipes and photographs on her blog. So I was really looking forward to reading her cookbook. Once I received the cookbook, I was impressed. It is a big, gorgeous cookbook, with beautiful color photos and dozens of easy, outstanding slow cooker recipes. I immediately started looking through all the wonderful recipes trying to decide which one I would make for this blog post. She uses the slow cooker for recipes that I likely would not have thought of making in the slow cooker, such as the Granola Baked Apples on page 20, or the Ham Breakfast Burritos on page 24. Sarah truly demonstrates the versatility of the slow cooker with her cookbook. 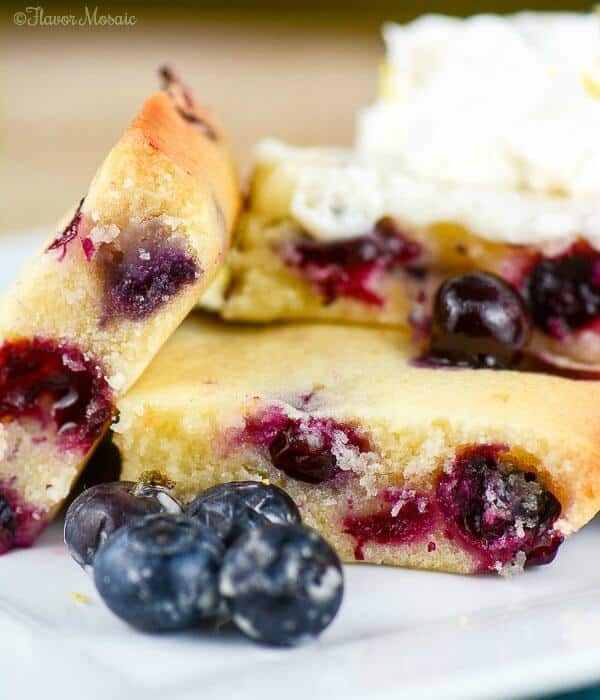 I love lemon desserts or lemon and blueberry flavored desserts as you may have noticed by some of my other posts, such as Cakey Lemon Blueberry Brownies, or Glazed Lemon Blueberry Pound Cake. When I saw that Lemon Spoon Cake recipe in The Magical Slow Cooker cookbook, I knew I had to make it, and share it with you! My family LOVED, LOVED, LOVED it. 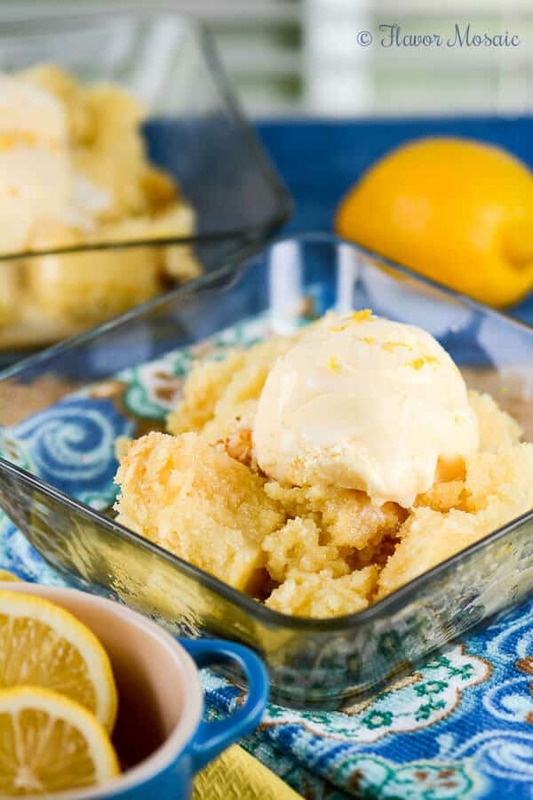 This Lemon Spoon Cake is easy enough to make that the kids could help make it for Mother’s Day. My Mother-in-Law has already requested that I make it again for Mother’s Day. This Lemon Spoon Cake is amazingly easy. Mix the batter in a mixing bowl and then pour into your slow cooker and cook on high for 2 hours. Then pour the glaze on top. I reserved a little of the glaze to also pour over each individual serving. Sarah recommends serving the Lemon Spoon Cake hot, topped with ice cream. Add a little lemon zest for garnish, if you like, and it is ready to be served. Be sure to order your copy of The Magical Slow Cooker cookbook today! It would also make a great gift for Mom on Mother’s Day or for a graduation gift to a new graduate. 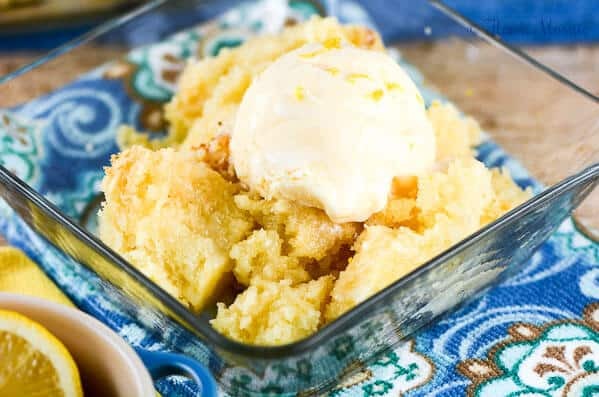 Lemon Spoon Cake is an easy, yummy slow cooker lemon dessert from the The Magical Slow Cooker cookbook, and is best served warm and topped with ice cream. 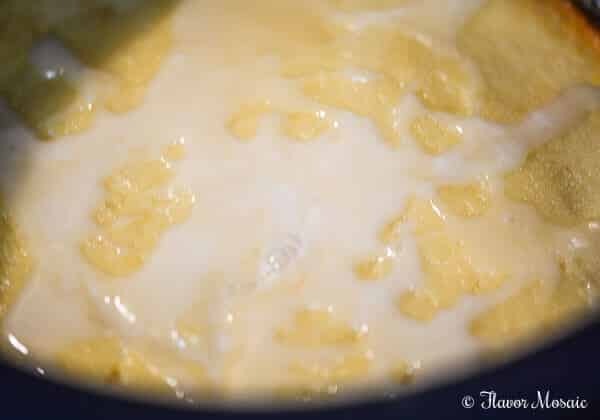 In a large bowl, add cake mix, lemon juice, water, melted butter, eggs, and lemon zest, mix with a spoon until combined. Don't over mix, some lumps are fine. Cook on high for 1 1/2 to 2 hours. Check after 1 1/2 hours, press center of the cake with your fingers, should be firm. If you aren't ready for dessert when time is up, just set to warm. Mix Glaze ingredients in a small bowl with a spoon. 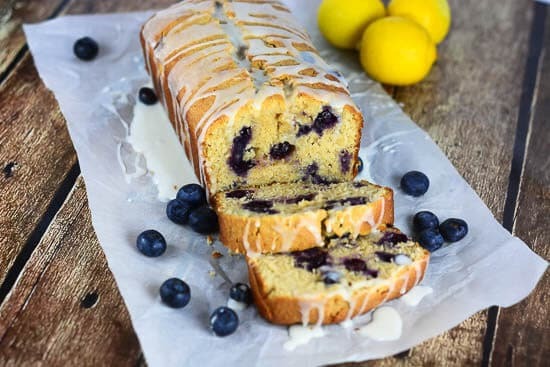 If you like this recipe be sure to try my Glazed Lemon Blueberry Pound Cake. Or you may like my Cakey Lemon Blueberry Brownies. 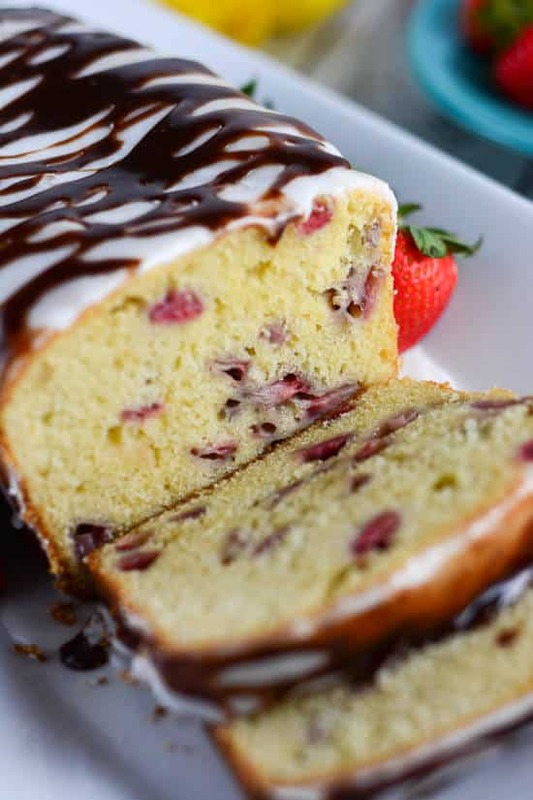 You may also like my Lemon Strawberry Pound Cake. 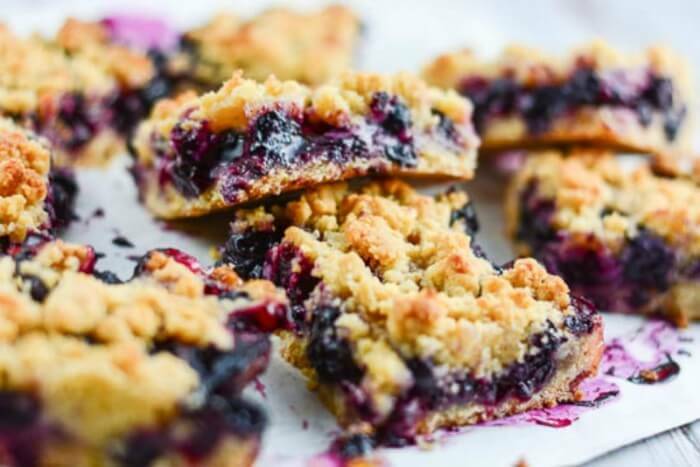 Or you may prefer these Blueberry Crumb Bars. Congratulations Sarah for a gorgeous cookbook! I love the recipes and will be making several more in the future, I’m sure. Thank you for allowing me to the opportunity to review your new cookbook. This looks delicious! I really love Sarh’s cookbook. I haven’t tried a dessert, but I will soon after seeing this cake! This looks so good!! 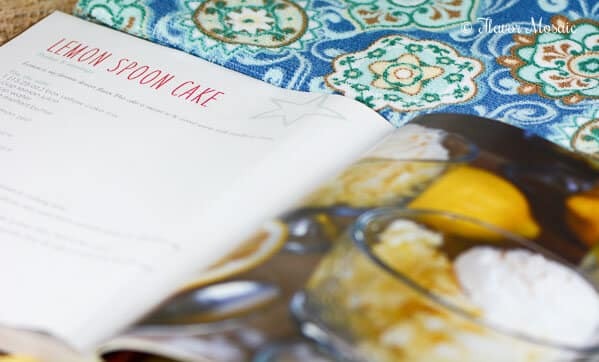 I am loving all the wonderful recipes for all sorts of dishes in Sarah’s cookbook too. Putting this recipe on my list of things to make! I haven’t made a cake in a slow cooker before. This one sounds amazing. I have to try it. I love any lemon cake, but this one looks especially delicious!! I will have to give it a try! Great post, Michele! I do looove all things lemon and this moist and tasty cake just sounds tremendous. This looks wonderful! I love Sarah’s recipes and can’t wait to get my hands on her book! 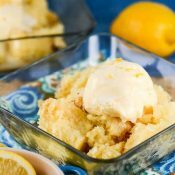 Your lemon spoon cake looks so good, I just can’t get enough lemon this spring, I am loving it! !